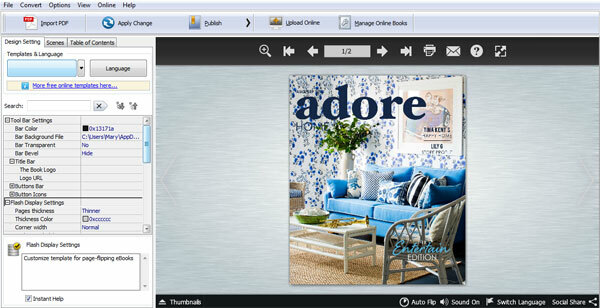 Digital Publishing Software - Create Digital Editions in Flash & HTML5 with A-PDF FlipBook Creator. What’s digital edition? Can I create digital editions in flash & HTML5 with using A-PDF FlipBook Creator? In fact, Digital Edition is the digital version of printed magazine/brochure/catalog. Digital version is compatible with mobile device and computer. You cannot need to take computer everywhere, just read your magazine/newspaper/brochure/catalog on mobile device such as iPad, iPhone and Android. Now let us create a digital edition which based on flash & HTML5 with the help of A-PDF FlipBook Creator. 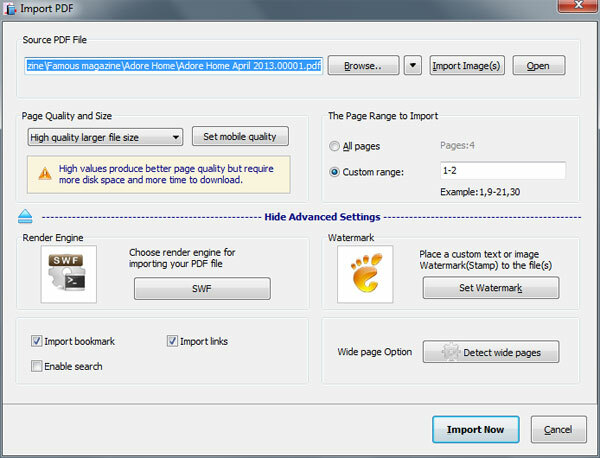 Before follow the below steps, you should prepare: PDF document, A-PDF FlipBook Creator. Step3: Open Publish panel to choose HTML and mobile version.